COLUMBUS — Arike Ogunbowale’s jumper from the corner with a second left lifted Notre Dame to a 91-89 overtime victory over UConn on Friday night in the national semifinals. She finished with 27 points and Jackie Young had a career-high 32 to lead the Irish back to the championship game for the first time since 2015. 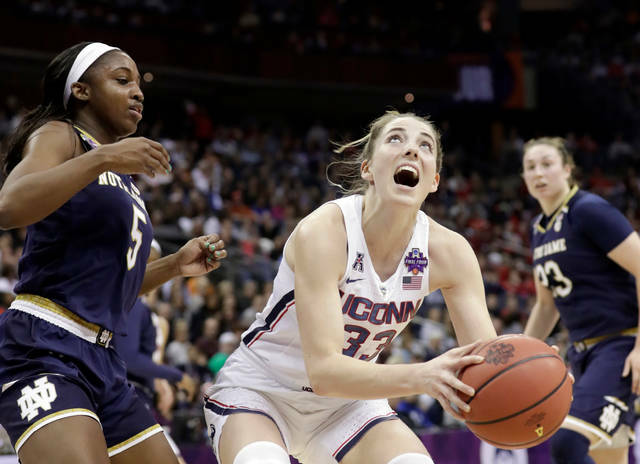 It’s the second consecutive year an undefeated UConn team lost in the Final Four on a last-second shot in overtime. Last time it was Mississippi State and Morgan William, ending the Huskies’ 111-game win streak. The Irish will face the Bulldogs — who won again in OT earlier Friday — on Sunday night in the title game. 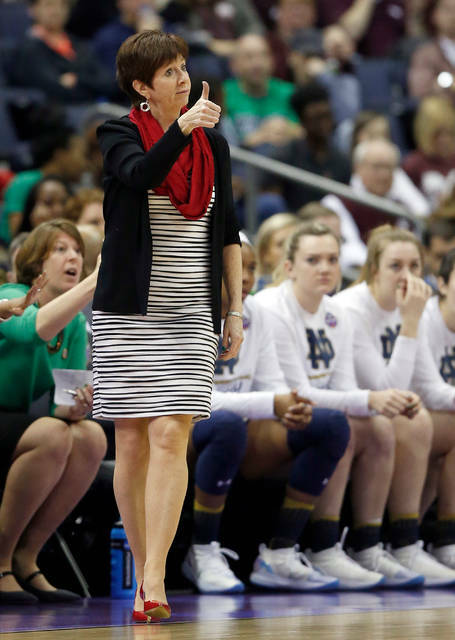 Muffet McGraw’s squad will be looking for its second national championship to go with the one the Irish won in 2001. Ogunbowale had a chance to seal the game in the final minute of overtime, but she missed two free throws. Crystal Dangerfield then hit a 3-pointer to tie it at 89, setting up the fantastic finish. The Huskies threw the ball down the court after the 3, but didn’t get a chance to tie it. This was the latest chapter in the greatest current rivalry in women’s basketball. 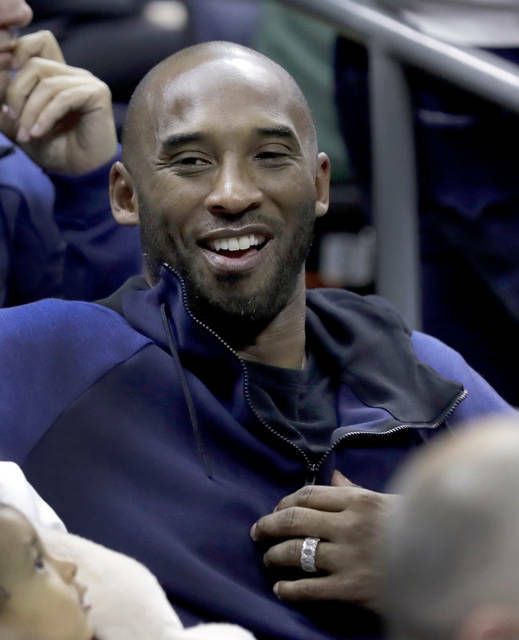 The sellout crowd that included Lakers great Kobe Bryant, who was sitting behind the Huskies bench with his wife and daughters, saw quite the show with epic comebacks from both teams. UConn was down five with under a minute to go in regulation before Napheesa Collier hit a 3-pointer with 15 seconds left and Kia Nurse had a steal for a layup a few seconds later to tie it. After Notre Dame turned it over with 3.6 seconds left in regulation, Gabby Williams’ runner was short, sending the game to overtime. The teams traded shot for shot in overtime before the Irish led 86-84 with 2:37 left in the extra period. Young then made three free throws over the next 2 minutes to give the Irish a five-point lead with 43 seconds left. Collier then scored to make it a three-point game. Ogunbowale missed her two free throws a few seconds later. She atoned 37 seconds after a Notre Dame timeout with the shot that set off a wild celebration from the Irish faithful that made the trip. This might be one of the most improbable NCAA runs by McGraw’s team, despite being a No. 1 seed. The Irish lost four players over the course of the season to ACL injuries. With only seven healthy scholarship players left, the Irish rallied from second-half deficits in the last three NCAA games. Just like their regular-season meeting, Notre Dame started out hot. The Huskies trailed 24-11 late in the first quarter before Katie Lou Samuelson hit a 3-pointer just before the end of the period. That began a 28-6 run over the next 9 minutes to give the Huskies a 39-30 advantage. Azura Stevens had 10 points during the run as UConn took over, much to the delight of the sellout crowd of nearly 20,000 fans. The Huskies (36-1) led 41-34 at the half before Notre Dame rallied. The teams traded the lead in the third quarter before the Huskies went up 60-57 heading into the fourth quarter. Collier finished with 24 points for the Huskies. Stevens added 19.